The Power Shake gives you the option to choose your nutrition and flavors. Try different combinations if you like. Tailor any recipes to your needs. Enjoy and have fun with food. – Please feel free to use the base of your choice. Where a recipe might call or water or almond milk, you might have a better alternative that suits your nutrition needs. Other options are cows milk, cashew milk, green tea or coconut water. – Protein Powders are subjective to your needs. Please use the appropriate animal or plant based protein powder that you prefer. You can also substitute protein powder with tofu for a plant based option as well as greek yogurt. My favorite grass fed whey is by Garden of Life. And funny that my favorite plant based protein powder is also by Garden of Life! 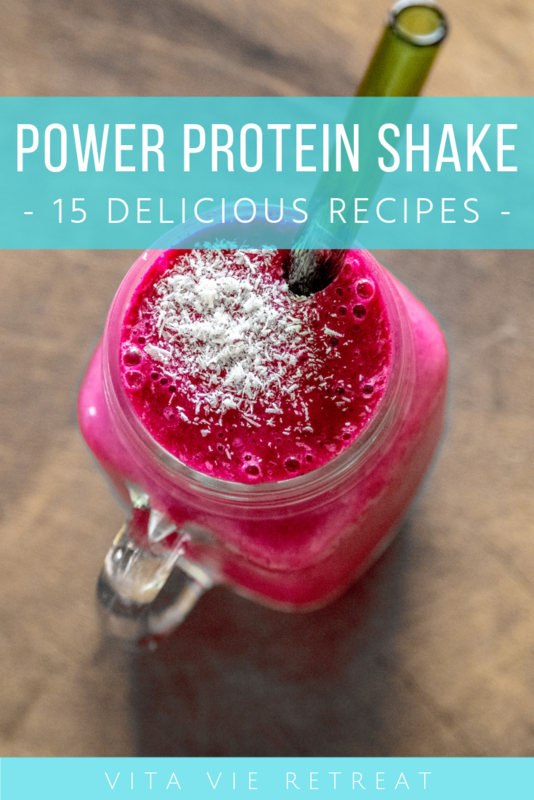 – The shakes below are a balanced mix of protein, carbohydrates, fat and other nutrients. Feel free to add or subtract appropriately for your needs and activity level. – Once you add ingredients to the blender, blend until smooth. After all ingredients have been blended, add ice if you want a cold shake or to thicken it up. Add more liquid to thin it out. Superfood Boost: You can always add a super greens or super fruits powder to any shake to boost the nutrient value. Meal Prep: I like to meal prep my shakes by adding all of the ingredients to a zip lock freezer bag and freezing shakes for the week. This way all you have to do is pull out a bag and throw the ingredients into the blender along with the liquid base of your choice. Mix It Up: Feel free to substitute the fruit or nuts/nut butter. Add in greens as you see fit and change up the flavor of the protein powder if you like. It’s your shake! Have fun and enjoy it.